MOSCOW, Dec 25 (Reuters) - A Russian military plane carrying 92 people, including dozens of Red Army Choir singers, dancers and orchestra members, crashed into the Black Sea on its way to Syria on Sunday, killing everyone on board, Russian authorities said. 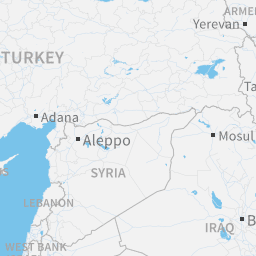 SOCHI, Russia — A Russian aircraft bound for Syria carrying a famed military band to entertain Russia’s forces there crashed into the Black Sea moments after takeoff on Sunday, and the authorities said all 92 people aboard were believed dead. The cause of the crash is under investigation, although initial Russian news media reports indicated it was a technical failure rather than terrorism. The Russian military has had only minor casualties throughout its deployment in Syria, but the country has experienced a series of setbacks in recent days. That came not long after forces from the Islamic State recaptured the storied Syrian city of Palmyra, forcing the Russian garrison that had been stationed there since helping to take the city last spring to flee. The military plane, a Russian-made Tupolev Tu-154, disappeared from radar two minutes after taking off from the resort town of Sochi. Russia’s official weather forecast agency said that conditions near the airport were “normal, easy,” the Interfax news agency reported. The airplane was technically fit, the Defense Ministry said. Wreckage of the plane, which was carrying 84 passengers and eight crew members, was found in the sea, most of it about one mile from shore, the Russian Defense Ministry said. No survivors have been found at the crash site, Russian officials said. Passengers on the flight, which originated in Moscow and stopped in Sochi to refuel, included 64 members of the Alexandrov Ensemble, the Russian military choir, who were traveling to Russia’s Khmeimim Air Base in Syria. The band planned to serenade Russian personnel in Syria on New Year’s Eve. President Vladimir V. Putin deployed Russian armed forces in Syria in September 2015, ostensibly to fight terrorism but primarily to prop up President Bashar al-Assad, the leader of the lone remaining Russian ally in the region, whose forces have been fighting an insurgency for nearly six years. Russian forces have been instrumental in helping the Damascus government regain the initiative, with the final rebels expelled from the besieged city of Aleppo on Thursday. Three journalists from Channel One, Russia’s main television station, were on the plane, as were journalists from the Zvezda and NTV television networks, news reports said. Yelizaveta P. Glinka, a prominent Russian philanthropist and a member of the presidential council on human rights and civil society, was also on the list of people on board. Mr. Putin recently honored Mrs. Glinka with a state award for her human rights and charity work. Valery V. Khalilov, the ensemble’s artistic director, was also on the plane, according to the list of passengers. “First of all, I would like to express my sincere condolences to the families of our citizens, who died today, as a result of an aviation catastrophe over the Black Sea this morning,” Mr. Putin said in St. Petersburg, according to remarks published on the Kremlin’s website. 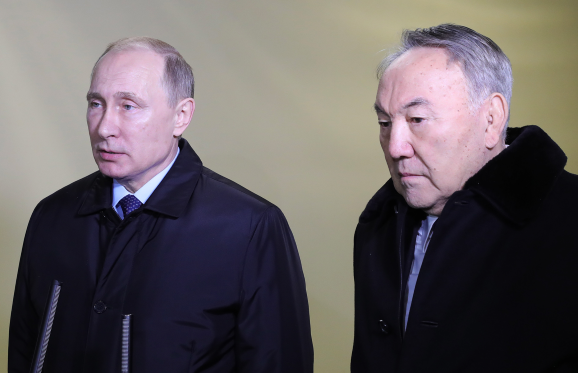 He also ordered Prime Minister Dmitri A. Medvedev to establish a state commission, headed by the transportation minister, Maxim Sokolov, to investigate the crash. The Defense Ministry said that 11 bodies had been recovered as search efforts continued, Russian news agencies reported. 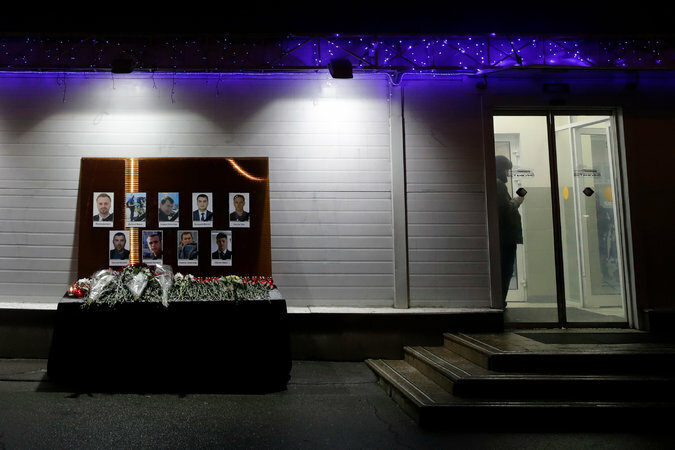 A memorial was installed inside the Sochi airport, and people brought candles and flowers. Relatives of the victims were whisked away by the authorities to a specially designated zone where they were treated by psychiatrists. Mr. Sokolov told journalists inside the terminal building that the rescue effort would not stop at night. “It is premature to say anything about the causes of this tragedy,” he told reporters. More than 30 vessels were deployed in the recovery operation, Mr. Sokolov said, and the Defense Ministry said that more than 100 divers had been sent to the crash site. Founded in the Soviet era, the Alexandrov Ensemble, which had performed in Syria earlier this year, is the official band of the Russian armed forces. It consists of an orchestra, a choir and a dance ensemble, and is one of the two Russian orchestras allowed to use the title Red Army Choir. Several independent news outlets in Russia reported that the Alexandrov Ensemble had planned to give a concert in Aleppo. In May, the Russian military had flown a symphony orchestra led by one of its best-known conductors, Valery Gergiev, to mark the reclaiming of Palmyra. Until recently, the Tu-154, which was designed in the 1960s, was one of the most widely used civilian aircraft in Russian aviation. The plane that crashed on Sunday was made in 1983, underwent planned maintenance work in the fall, and was operated by an experienced pilot, the Defense Ministry said. Russian airlines have mostly replaced outdated Soviet planes with new ones in recent years and have vastly improved the overall safety record. Many government agencies continue to fly the Tu-154 and other old Soviet aircraft, however. The age and reputation of the Tu-154, as well as the fact that the aircraft had flown out of secure military airfields, meant that most senior officials speaking publicly ruled out the possibility that an attack had caused the crash. But there was speculation by a few aviation experts, echoed by some officials, that terrorism could not be ruled out given the suddenness with which the plane disappeared and the size of the debris field. “For us the worst version is an act of terrorism, because if this is the case, this will mean that we have paid another bill for Aleppo,” Vadim Lukashevich, an aviation expert, told Dozhd, an independent television station. In one of Russia’s most recent air disasters, the Islamic State claimed responsibility for planting a bomb onboard a Russian civilian Airbus that crashed in Egypt in October 2015, killing all 224 people on board in a flight from the Egyptian resort of Sharm el-Sheik to St. Petersburg. Another Russian-made military plane crashed in eastern Siberia on Monday, seriously injuring 16 of the 39 people on board, and the aviation authorities recently grounded the country’s newest civilian airliner, the Sukhoi Superjet 100, because of concerns about metal fatigue. 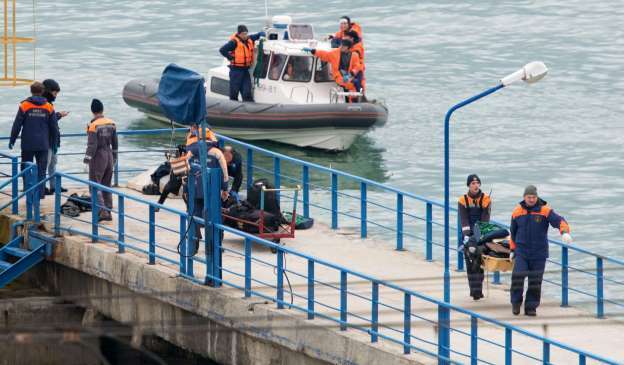 Russia’s transport minister said Monday during a press conference that pilot error or a technical fault is likely to be the cause of Sunday’s plane crash over the Black Sea. All 84 passengers and eight crew members on the Russian military’s Tu-154 plane are believed to have died when it crashed two minutes after taking off at 5:25 a.m. in good weather from Sochi. The passengers included dozens of singers in Russia’s world-famous military choir. Transport Minister Maxim Sokolov said in televised remarks that investigators are looking into a possible pilot error or a technical fault and that a terrorist attack was not among the main theories. More than 3,000 rescue workers, including 100 divers flown in from across Russia, scoured the waters for victims at the crash site, the Defense Ministry said. Helicopters, drones and submersibles were being used to help spot bodies and debris. Powerful spotlights were also being brought in so workers can search throughout the night. Some plane fragments were found about 1 mile off shore and by Sunday evening about 11 bodies were recovered and fragments of bodies were also found. Sokolov officially ruled out terrorism after saying Sunday that investigators were looking into every possibility for the crash. Several experts noted factors that suggested a terror attack, such as the crew's failure to report any malfunction and the fact that plane debris was scattered over a wide area. The plane was taking the Defense Ministry's choir, the Alexandrov Ensemble, to perform at a New Year's concert at Hemeimeem air base in Syria's coastal province of Latakia. Those on board also included nine Russian journalists and a Russian doctor famous for her work in war zones. The Black Sea search area — which covered over about 4 square miles — was made more difficult by underwater currents that carried debris and body fragments into the open sea. Sokolov said the plane's flight recorders did not have radio beacons, so locating them on the seabed was going to be challenging. "There is no chance to survive in such situation," he said, according to the Interfax news agency. But some experts said the crew's failure to report a malfunction pointed at a possible terror attack. "Possible malfunctions ... certainly wouldn't have prevented the crew from reporting them," Vitaly Andreyev, a former senior Russian air traffic controller, told RIA Novosti. Alexander Gusak, a former chief of a SWAT team at the main domestic security agency, the FSB, told Dozhd TV that Russian airports are still vulnerable to terror threats despite security cordons. "It's possible to penetrate them. It's a matter of skills," he said. In October 2015, a Russian plane carrying mostly Russian tourists back from vacation in Egypt was brought down by a bomb over the Sinai Peninsula, killing all 224 people aboard. Officials said the explosive device was planted in the plane's luggage compartment. The local affiliate of the Islamic State group claimed responsibility. A Russian military plane carrying members of the army's official choir traveling to perform in Syria has crashed in the Black Sea near Sochi. There are apparently no survivors, according to the Russian Defense Ministry. The ensemble was "flying to congratulate Russian air force pilots in Syria with the New Year," ministry spokesman Igor Konashekov said. A Tupolev Tu-154 plane that was carrying 92 people, including 84 passengers and eight crew members, disappeared from radar Sunday morning local time after taking off from the Adler airport, state-run RIA Novosti news agency reported. The plane took off from Moscow and was headed to the Russian Hmeymim airbase in Latakia, Syria, where Russia has a large military presence, for a concert ahead of New Year's Eve, a source told Russia's state news agency Tass. Ten bodies have been brought on board a rescue vessel, according to the search and rescue team working the area of the crash, Konashekov said. One body believed to be among the victims was found more than three miles off the Sochi shore, Konashenkov said. One of the people aboard that flight was Liza Glinka, a famous Russian human rights activist, according to CNN affiliate RBC. She was bringing medicine and other supplies to a local hospital in Syria, her colleague and friend Dr. Sergey Kurkov told RBC. "We are shocked. I've talked to her on the phone just recently, just before it happened. She was a saint. She helped everybody," he said, adding that he's known her for 20 years. "She was kind, she was fair. It is such a huge loss for me. She talked to us. She argued with us. She was my teacher. She was like a family for me." The first bodies of victims from the crashed flight are expected to arrive in Moscow on Monday morning, said Deputy Defense Minister Nikolai Pankov, according to RIA Novosti. The Russian Tu-154 could have crashed because of a technical malfunction or pilot error but not terrorism, said Viktor Ozerov, chairman of the Federation Council Committee on Defense and Security, according to Russia's Sputnik news agency. "I rule out version of the terror attack completely. It is the aircraft of the Ministry of Defense, the airspace of the Russian Federation, there cannot be such a version," Ozerov is quoted as saying. "The plane had to make a U-turn after takeoff over the sea (and) may (have taken) the wrong direction." En route to Latakia, the plane landed in Sochi to refuel, the Defense Ministry's press service told Russia's Interfax news agency. According to RIA Novosti, the Defense Ministry said it found debris from the Tu-154 in the Black Sea one mile from Sochi. Four ships and five helicopters have combed the crash site, Konashenkov said, according to Tass. More than 100 divers with special equipment will be deployed, and a group of medical and psychological professionals will be on hand to help relatives, he said. CNN Meteorologist Derek Van Dam said no major weather patterns were present at the time of the plane's disappearance. On Sunday, the temperature of the Black Sea was about 10 degrees Celsius (50 F), according to Russian media. The Defense Ministry published a list of those on board. Among them: eight crew members, eight soldiers and more than 60 members of the famed Alexandrov Ensemble, the Russian army's official choir, including its conductor Valery Kahlilov. Since 1928, the Alexandrov Ensemble has grown into a immensely popular tradition due to its unending government support. It has toured the world performing Russian folk songs, World War II anthems and patriotic music, and was dubbed "Russia's singing weapon." The ensemble consists of between 100 and 120 members depending on the type of performance. It includes a choir, a dance troupe and an orchestra. Because their performance at the airbase was going to be mostly a cappella, only the choir and a handful of dancers were aboard the plane, Russian media reported. "The orchestra did not fly because [the choir] was supposed to use pre-recorded music," choir singer Sergei Khlopnikov, who didn't make the trip because his daughter was sick, told the Interfax news agency. Nine journalists, including three reporters with Star TV, were on board, the Defense Ministry said on its television network. "Our cultural paratroopers perished," the head of the Moscow government's culture department, Alexander Kibovsky, said in televised remarks. "These people always performed in war zones, they wore uniforms, they brought kindness and light," said Konashekov. The plane was manufactured in 1983 and had 6,689 hours of flight. "The last repair was on December 29, 2014, and in September 2016 it underwent scheduled maintenance," the ministry said, according to Tass. The ministry identified the pilot as Roman Volkov, who it said was a "class 1 pilot" with more than 3,000 flying hours. 0 Response to "All 92 on Syria-bound Russian military jet killed in crash, including 60 from Red Army Choir"